 Creating and maintaining a respectful and welcoming environment for all to live, learn, work and thrive is a priority at the University of Michigan. To that end, a group of professional staff members, the Bias Response Team, focuses on addressing incidents that may reflect bias against members of the University community based on their identity. Bias incident reports by U-M students, faculty and staff are addressed by the Bias Response Team. The Bias Response Team (BRT) is committed to providing support for those who may have been targets of or affected by bias. The BRT works to ensure that appropriate University resources and expertise are made available to anyone who feels they have been harmed by bias. Therefore, anyone who feels they have been affected by an incident of bias is encouraged to make a report to the BRT, so the University can offer assistance. The BRT cannot impose discipline and no one is required to participate in any aspect of the BRT’s work. Its purpose is to assist those who feel aggrieved, to help students, faculty or staff understand how their behavior has affected others and, over time, to contribute to the maintenance of respect and understanding among members of the University community. The Bias Response Team may include other university representatives as needed, including staff or faculty from academic schools and colleges, human resources, and relevant administrative units. Community representatives who serve the U-M community may also be notified and asked to assist in educational response efforts. The BRT is not a disciplinary body. The Office of Student Conflict Resolution is responsible for disciplinary proceedings. The BRT may discuss with a student how to file a complaint with OSCR or may itself refer a matter to OSCR if it appears that a violation of University’s Statement of Student Rights and Responsibilities has been alleged, but it is not the role of the BRT to investigate or determine whether a reported incident involved bias or a violation of university policy. The BRT may invite persons alleged to be responsible for reported incidents to meet with a representative of the BRT to discuss the impact of the incident on others, but participation in this process is entirely voluntary. The BRT’s sole purpose is to assist those who feel aggrieved by incidents of bias and to promote respect and understanding among members of the University community. We encourage you to use these resources to report incidents and to encourage others to report if they have been the target of or witness to a bias incident. There are several ways you can report a bias incident. The staff members at these offices are trained to be sensitive to student, faculty, staff and community concerns. Bias Incident Reporting Line: Call 734-615-BIAS (2427) to report an incident during normal working hours (Monday-Friday, 8:00 a.m.-5:00 p.m.). If it is after hours, leave a message and a staff member will get back with you by the next business day. Faculty and staff who call the number during normal business hours will be connected to the Office for Institutional Equity; students will be connected to the Dean of Students Office. Wondering where to report an incident? View our reporting areas. These offices and resources exist to support students, staff and faculty. Download the How to report an Incident PDF to print, post, and share this information. Bias may come in many forms. You may not be in a position to judge whether a person is motivated by actual bias, but if you feel that you may have experienced bias and would like to discuss the incident, please call 734-615-BIAS (2427). Bias incidents may involve conduct that does not violate any law or university policy. Some cases, however, do involve conduct that may violate federal, state, or local laws or U-M policies. Below are some examples of policies that may be violated, but conduct need not violate any such policy to be considered a bias incident. If you have experienced a crime, report it directly to the Division of Public Safety and Security at 734-763-1131 or the Ann Arbor Police Department at 734-994-2911. The University is committed to ensuring that students, faculty and staff can report incidents of bias in a confidential setting and without fear of retaliation. The staff of these offices has been trained to be welcoming and sensitive to student, faculty, staff, and community concerns. Where to report. After you report an incident, a member of the Bias Response Team will contact you to set up a meeting to discuss what happened and offer support and assistance. You will learn about your rights as a U-M community member and the available response options. With your input, a plan of action will be created and implemented with follow-up. If you wish, the person alleged to be responsible for the incident may be contacted and invited to voluntarily meet with a member of the BRT. Such a meeting cannot be compelled, however. The Bias Response Team updates a log of reported incidents on a weekly basis to provide the U-M community with general information on the type of conduct that is being reported, where the conduct is occurring, and what actions have been taken to address the reported incidents. Because the BRT does not make determinations or judgments about whether bias occurred, inclusion of an incident on the log does not mean that bias was in fact involved. A bias incident may involve speech that is protected by the First Amendment. Expect Respect is a unique partnership among students, faculty, and staff hoping to unite our community. It is an educational initiative that includes annual proactive programming aimed at supporting a campus climate in which all persons are treated with respect. For more information about the Expect Respect campaign, contact expectrespect@umich.edu or call the Dean of Students Office at 734-764-7420.